- works best if you take your Marketer’s hat off and put on your Creativity cap. Think in “stories” – Try to tell a story with your pinboard. Others may add, and others may comment – but never just upload twelve knitted objects. Get creative! 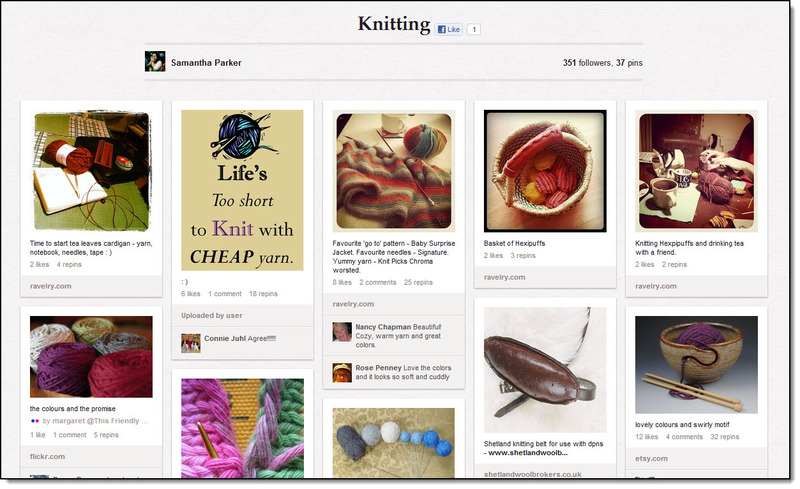 If every single photo consisted of a finished piece of knitting, this Pinboard would look like a catalog. This way, it’s a statement about the knitting lifestyle – what knitters think, feel, like, delight in, spend time on… and money. You may be surprised to find that within an hour of creating your first Pinboard – even if there is just one photo on it – you already have a couple of followers and several re-pins. That’s how powerful Pinterest is. And this is even more important for your Local Beauty Salon Biz. As people move in and out of the area, attrition happens. You want to keep your name out in the public. But there are definitely other tactics you can add to increase sharing among members of your target market: And that’s to actively encourage people to share your photographs and images… as well as follow you on Pinterest. There are two buttons you need to know about: Follow buttons and “Pin it” buttons for direct URL sharing. 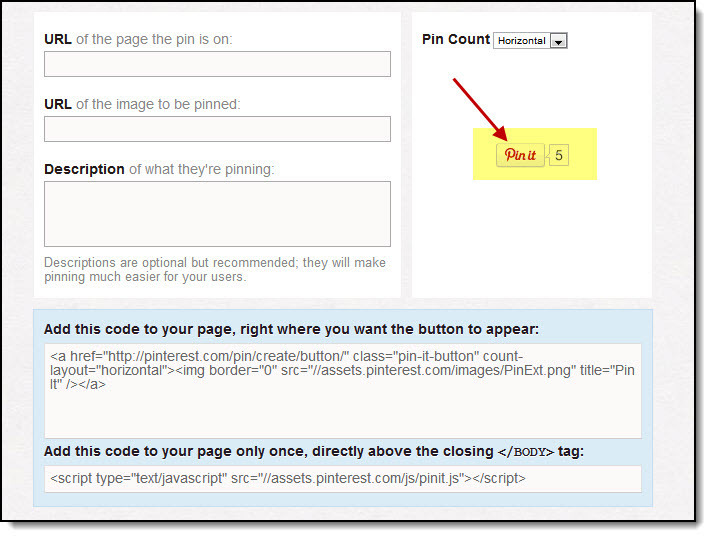 Using these two types of buttons is going to be an important part of your Pinterest marketing. Both are calls to action, prompting the reader to engage with your material and website. Social sharing simply doesn’t work if you passively wait for others to find you. Unfortunately Pinterest sometimes has an issue with feed-building. They blame it on new users “not properly completing the registration process”. You’ll soon know if this applies to you – you’ll see an endlessly-repeating “building feed” message. If this happens, you can log a ticket with the Help Desk; or by-pass feed building for now. 1. Select “Popular” at the top of the page. Almost everything can be accessed from the top horizontal menu bar. 1. “Everything” allows you to find other Pinners by category. You can then leave comments on their boards and/or pin their photos to yours. 2. 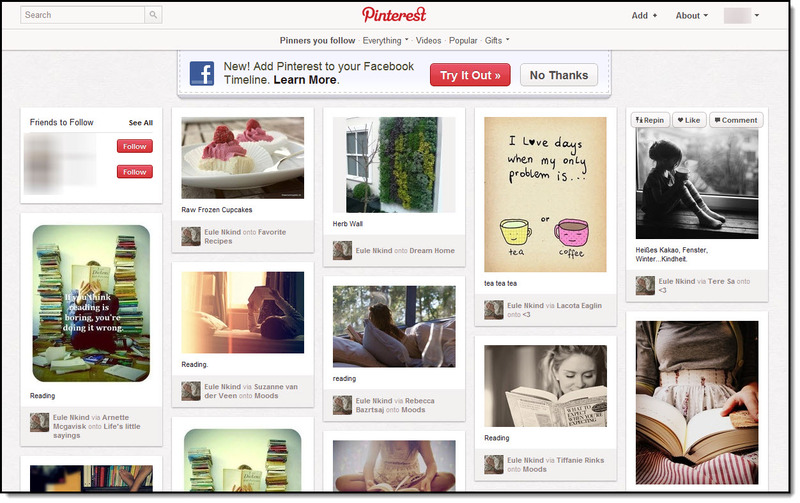 “Popular” allows you to see Pinboards that are trending – as well as access the “Gifts” category. A drop-down menu allows people to further categories items for sale by price. Go and familiarize yourself with Pinterest. Add friends. Add other Pinboards. Create a few of your own. When you are comfortable, you can start to use Pinterest to build your reputation, business and income. 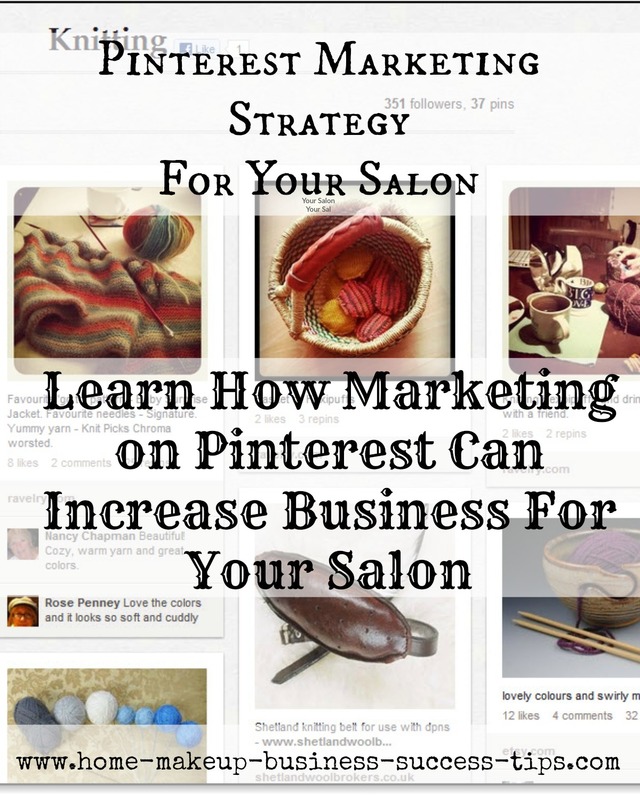 Have a Pinterest Marketing Strategy for Your Local Salon Beauty Business Tip Success Story?